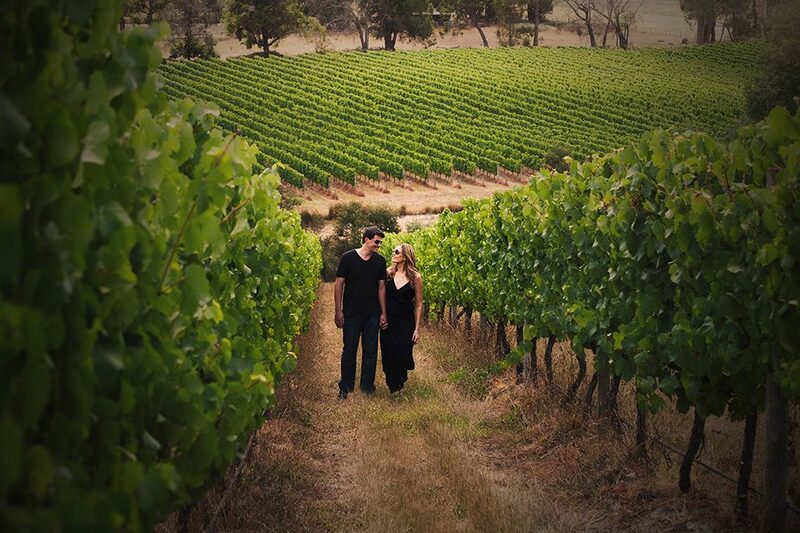 We met Adrian and Rebecca Santolin at the 2015 Young Guns of Wine awards. 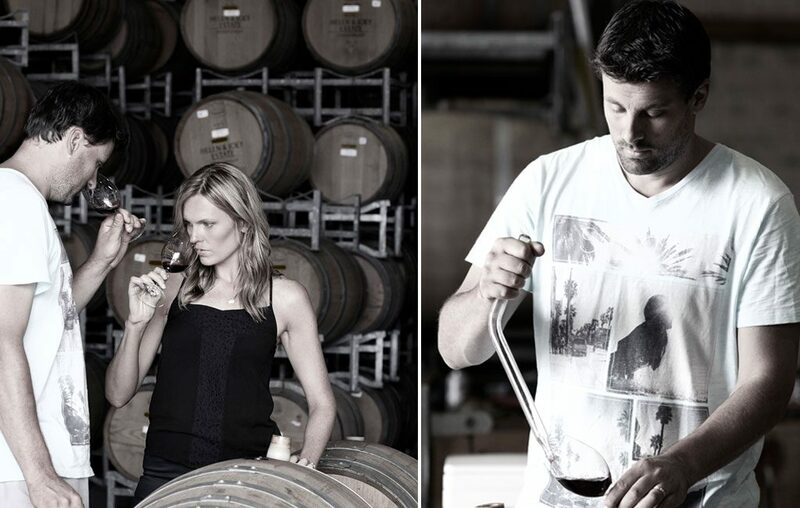 Adrian is the winemaker while wife Rebecca manages the business and the creative side. Fast-forward to April 2016 and we are very proud to have Santolin Wines as a new addition to our Catalogue. Using old world wine making techniques such as wild yeast, whole bunch battonage and oxidative handling, the wines are then left for up to twelve months in a selection of French oak barrels (Gillet, Sirugue, Ermitage).This small batch approach is made with passion showing great respect for the single vineyard sites which lie in the lower and upperYarraValley. Adrian’s winemaking style is visionary and focused; he, we believe, is a great example of the current flourishing crop of progressive Australian wine makers. Adrian Santolin, Willowlake Vineyard, 2016.
making Sangiovese (Yarraland Vineyard) and Nero d ‘Avola (Heathcote Chalmers Vineyard). Adrian creates vibrant wines with a proud nod to the old world.